“Of all the health-destroying foods on the market, those made with highly processed vegetable and seed oils are some of the worst. 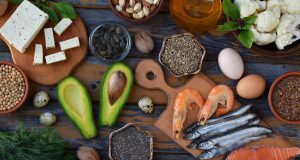 When consumed in large amounts, as they are by most Americans, they seriously distort your important omega-3 to omega-6 ratio. In a perfect world, this ratio is 1:1—but the average American is getting 20 to 50 times more omega-6 fats than omega-3 fats. Excessive omega-6 fats from processed foods significantly increase your risk for heart disease, cancer, Alzheimer’s, diabetes, rheumatoid arthritis, and many other illnesses.” That’s the word from Dr. Mercola, one of the most respected health authorities on the web. Let’s look at some of the “health-destroying” oils he’s talking about. Canola oil originates from rapeseed, and has been used for various purposes for centuries. The rapeseed plant is a great insect repellent. In recent history, it was used in North America during World War II as a lubricant. In 1979, the Western Canadian Oilseed Crushers Association coined the name “Canola,” and to this day Canada produces roughly 15% of the world’s Canola oil. DrDangemi.com offers a great explanation of how Canola oil is made. The process of producing Canola oil is complex (and highly unnatural) indeed. First, the oil is removed from the seeds using high heat, pressure and petroleum solvents, leaving behind traces of hexane. Next, the oil is refined, bleached and degummed, all of which involve high temperatures or chemicals of questionable safety. Finally, the oil has to be deodorized. As a result of these processes, much of the omega-3 fatty acids are converted into trans fatty acids. It is at this point that Canola oil becomes unreasonably hazardous. Dr. Mary Enig, a world-renowned Biochemist, has said, “”Although the Canadian government lists the trans fat content of canola at a minimal 0.2 percent, research at the University of Florida at Gainesville, found trans fat levels as high as 4.6 percent in commercial liquid canola oil”. As if that wasn’t enough, about 90% of the seed grown in the U.S. and Canada for Canola oil is genetically modified (GMO). Besides being a common allergen, like Canola, 90% of the U.S. soy crop is from GMO seed. Oil is produced by extracting it from the soybean using the chemical solvent hexane. This is the same harsh chemical that is used as solvents for glues (rubber cement, adhesives), varnishes, and inks. Hexane is also used as a cleaning agent (degreaser) in the printing industry. The fatty acids in soybean oil are mostly Omega-6 polyunsaturated fats which in overabundance, can cause inflammation throughout the body. Numerous health problems including reduced thyroid function, thyroid damage, heart disease and increased risk of cancer have been tied to soy. Some proponents of soy point out that Asians have been eating soy products for 5,000 years with no harm. However, they ALWAYS fail to point out that Asians eat fermented soy products while the soybean oil we consume is always unfermented (in addition to being chemically processed). 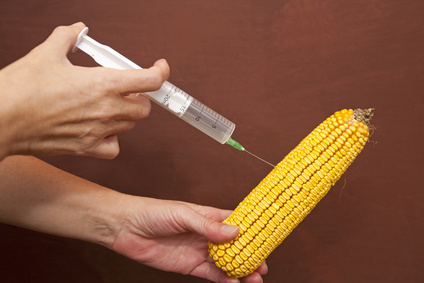 Corn, like the other sources of vegetable oils, is almost always sourced from plants grown from GMO seed. Here’s just one of the many signs of the harmful effects of GMO crops: the dietary ratio of omega-6 to omega-3 fatty acids was one to two about 60 years ago (before GMO), and in 2006 it was about 25 to one. In other words, before GMO, corn had twice as many heart-healthy omega-3’s than omega-6’s. Today it’s only 4% of the omega fatty acids. 60 percent of corn oil is Linoleic fatty acid and under high heat it degrades into oxidation products like cell-damaging free radicals. In one analysis a total of 130 volatile compounds were isolated from one piece of fried chicken alone. But that’s not the biggest problem. Research by M.D. 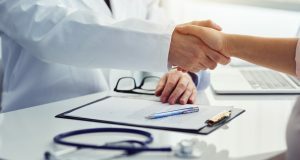 Brown published in the “British Journal of Cancer” in 2010 demonstrates that arachidonic acid, which is converted from the linoleic acid, promotes prostate cancer and supports the spread of cancer to the bone. Canola, Corn and Soybean may be the most used vegetable oils, but most other vegetable oils are just as unhealthy (or more so). This includes safflower, peanut, sunflower, grapeseed and cottonseed oils. According to Professor of Nutritional Sciences Richard Bazinet (University of Toronto), most vegetable oils are a threat to heart health. He analyzed twenty studies on fats and published his conclusions in the Canadian Medical Association Journal. 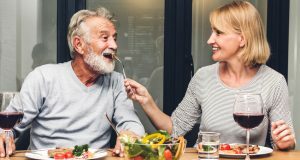 He determined that even some of the polyunsaturated fats in some vegetable oils cause heart health problems because they oxidize in the blood stream. This oxidization counters any health benefits that might have come from the lowering of bad cholesterol levels. However, not all vegetable oils oxidize. Vegetable oils that are made up primarily of omega-3s (like olive oil) do not oxidize quickly. That’s why you need to identify which fats are good for you and which fats are bad for you. 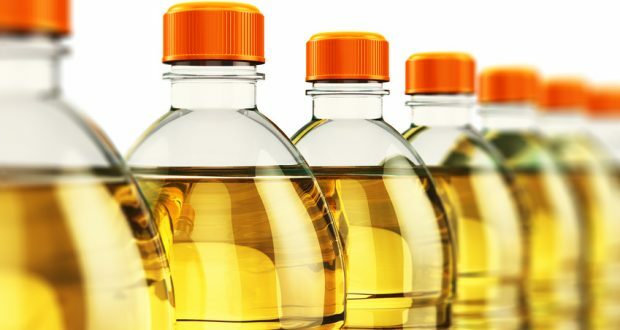 In general, vegetable oils are some of the most chemically-altered foods available. They cannot be extracted through pressing or natural separation processes (like extra virgin olive oil is obtained). Instead they have to be chemically altered, deodorized and otherwise processed. According to WellnessMama.dom, Most vegetable oils and their products contain BHA and BHT (Butylated Hydroxyanisole and Butylated Hydroxytoluene) which are artificial antioxidants that help prevent food from oxidizing or spoiling too quickly. According to the Framingham Heart Study, a study that spans two decades, men who ate (on average) six tablespoons of margarine had twice the risk of heart disease than men who did not consume margarine at all. The study’s conclusion? 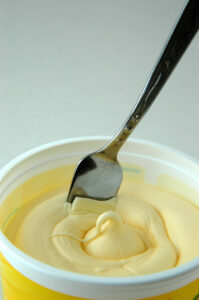 The consumption of margarine doubles your risk of heart disease. Why? Because all margarines are made from vegetable oil, and as we’ve demonstrated above, vegetable oils can wreck your health. Olive oil is a great oil for taste and health, but never heat it over 250 F because it will become oxidized and do more harm than good. Grass-fed butter or ghee are great healthy options for cooking at higher temperatures, as is avocado oil, which also makes a great dressing for salads and vegetables. Now that’s one powerful oil! Very helpful. Heard about margarine before but glad to see it again.